What a wonderful concept this is – students from a diverse array of disciplines having the opportunity to put your knowledge and abilities into practice over three days in this model United Nations setting – and to gain so much more understanding and skills through the process. I have no doubt many of you will look back on this conference as an important landmark in your lives and will take many of the lessons and friendships into successful careers, wherever they may lead you. You have applied your minds to important and innovative challenges – crimes against humanity, a right to death, impoverished nations, new weaponry, space rights, the economics of polio and the international criminal court. Journalists from the international press gallery have reported on proceedings while representatives of non-government organisations have attempted to negotiate suitable outcomes for their constituencies. My address to you relates to these latter elements and how one Paris-based NGO – Reporters Without Borders – has worked since 1985 to defend the interests of journalists and cyber-dissidents attempting to report on these kinds of issues internationally and to promote the global right to free expression. Reporters Without Borders is registered in France as a non-profit organisation and has consultant status at the United Nations. For the past several years I have been Australian correspondent for RSF, filing regular reports to my colleagues in Paris on the threats to media freedom in this liberal Western democracy. Sadly, I have had much to report because there has been a legislative creep factor at play which means that politicians will pay lipservice to free expression and media freedom yet continue to propose and pass laws that impinge upon that core democratic value. Australia is rare among liberal democracies in that we do not have free expression explicitly enshrined in our Constitution and we lack the bills and charters of rights of comparable nations where it stands alongside other important human rights. Of course we are not among the worst offenders. But it made news recently when RSF demoted Australia from 18th to 30th position in its World Press Freedom Index among the 179 countries ranked. First to the latest ranking: what factors contributed to Australia’s decline in its media freedom status since 2010? 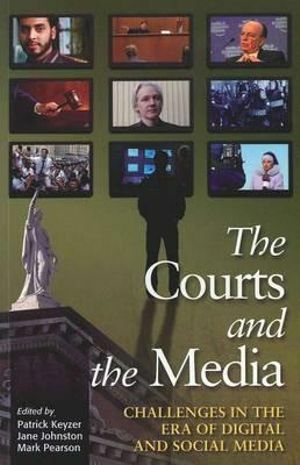 For a start, the fact that there were five simultaneous government inquiries into news media regulation at the time it was being compiled sent a message to the international community that, for a Western democratic nation, the Australian government and its agencies were entertaining tougher regulatory measures. They included the Convergence Review, its subsidiary Independent Media Inquiry, the National Classification Scheme Review, the Commonwealth Government’s Privacy Issues Paper and the Australian Communications and Media Authority’s review of privacy guidelines for broadcasters. 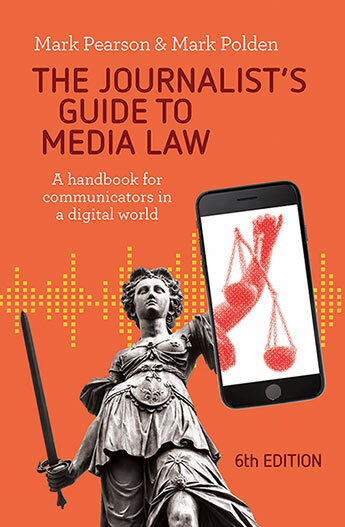 Between them they raised the prospects of new controls on print, broadcast and online media; a new tort of privacy; tough new classification systems across media; and the conversion of some self-regulatory bodies to regulatory status. RSF was specially concerned by suggestions at the hearings of the Independent Media Inquiry that journalists should be licensed and at that inquiry’s recommendation that a government-funded statutory regulator be established, with ultimate powers to refer editors to courts on contempt charges with potential fines and jail terms as punishment. The trial of Victorian police officer Simon Artz for alleged leaks to The Australian newspaper about a counter- terrorism operation raised several media freedom issues, with Crikey senior journalist Andrew Crook allegedly breaching a suppression order by revealing the name of a former member of Victoria’s Special Intelligence Group involved in the hearing; warnings over Crikey journalist Margaret Simons’ live tweeting from the hearing; and The Australian’s Cameron Stewart being ordered to reveal his sources. Victorian Police launched an investigation into an alleged hacking of an ALP electoral database by four journalists at The Age, including editor-in-chief Paul Ramage. Government control over media access to detention centres prompted condemnation from the journalists’ union and RSF issued a release. The Department of Immigration introduced new guidelines to restrict reporting of, and access to, detention centres. The Federal Court’s ruling that hate speech laws should trump free expression was of concern when a judge ruled Herald Sun columnist Andrew Bolt breached the Racial Discrimination Act in his criticisms of fair-skinned indigenous people. Senior Fairfax executives were summonsed by the Police Integrity Commission to produce documents revealing sources in September in relation to articles by Herald journalists Linton Besser and Dylan Welch about the NSW Crime Commission. Fairfax’s deputy technology editor Ben Grubb, 20, was arrested after reporting on a conference presenter’s alleged hacking at the AUSCert IT security conference. RSF has also expressed concern for some years at the Federal Government’s determination to introduce an Internet filtering scheme. RSF does not claim its index is a precise scientific measure. It could never be, given the enormous variables at stake, and has to rely on an element of expert qualitative judgment when making the final determinations of a country’s comparative ranking. The process centres upon a questionnaire sent to partner organisations (18 freedom of expression groups in all five continents), to its network of 150 correspondents around the world, and to journalists, researchers, jurists and human rights activists. The questionnaire features 44 main criteria indicative of the state of press freedom. 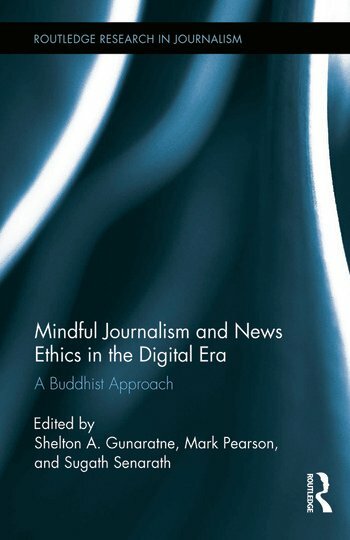 It asks questions about every kind of violation directly affecting journalists and ‘netizens’ (including murders, imprisonment, physical attacks and threats) and news media (censorship, confiscation of newspaper issues, searches and harassment). It also measures the level of self-censorship in each country and the ability of the media to investigate and criticise. Many countries’ rankings change from year to year but there is little movement at the extremes. Europe typically dominates the top 10, with Scandinavian countries like Norway and Finland among the top few, while the usual suspects feature at the other end of the scale: Iran, North Korea, Vietnam, China, Burma, Turkmenistan and Eritrea. Free expression is not absolute, although its opposite, censorship, can be. The major difference is in what the lawyers call ‘prior restraint’ – censorship before publication or broadcast. Those at the top of the scale have high levels of transparency and welcome media scrutiny of government processes, with a minimum of licensing, suppression and no physical intimidation of journalists. At the other extreme journalists are murdered, jailed and tortured, publishers of all kinds require a licence, and Internet access is restricted. Over the past five years, Australia’s ranking has fluctuated between 16 and 30 of the 179 countries surveyed, typically ahead of the United States but well behind New Zealand in the level of media freedom. Governments might take issue with the methodology and dispute their nations’ rankings, but the index draws on the energies of experts throughout the world and in Paris and is thus taken seriously in international circles. It serves to raise awareness about media and Internet freedom, which cannot be a bad thing in an age of government spin. And there are almost 150 nations RSF ranks lower than Australia in its index. 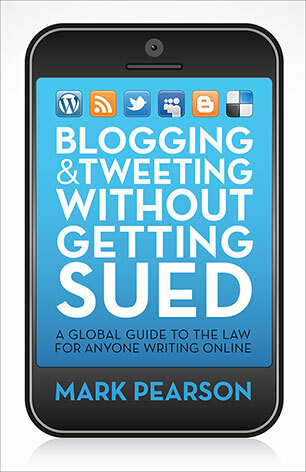 I devote a chapter of my recent book – Blogging and Tweeting Without Getting Sued – to the difficulties you can encounter when writing about them online. There I explain that the only country outside the US, Europe and the Commonwealth to rank highly in free expression rankings over recent years has been Japan. Despite having regional charters of human rights, several countries in Africa and Central and South America have shown little respect for Internet or media freedom. The so-called ‘Twitter revolutions’ throughout the Middle East and North Africa in 2010 and 2011 showed how social media could help accelerate movements for better human rights. But despite the impact of ‘people power’ in such countries there is still evidence of censorship and intimidation throughout much of the world. No regional human rights convention exists in Asia and the Hong Kong-based Asian Human Rights Commission provides an ongoing chronicle of abuses, many involving the gagging of journalists, bloggers and dissidents. The countries of the world with the highest level of censorship maintain tight control over expression and take firm action against online writers who use the Internet to question their authority. These are places where you get labelled a ‘dissident’ and face jail if you blog or tweet to express your political views. Reporters Without Borders has released a list of enemies of free Internet speech: Bahrain, Belarus, Burma, China, Cuba, Iran, North Korea, Saudi Arabia, Syria, Turkmenistan, Uzbekistan and Vietnam. They are countries where bloggers, journalists and other ‘dissidents’ have been imprisoned or tortured for daring to write what they think or for encouraging others to do so. Governments in such countries block access to full Internet use via systems like the so-called ‘Great Firewall of China’. While the Internet is seen by many as a wonderful new tool for democracy, there is a downside to the use of social media and blogs if your nation does not value free speech: your Web-based activities can be monitored quite easily by security forces and your careless use of such media can leave you dangerously exposed. Blogger Nay Phone Latt was only released from a Burmese jail in January after reporting in his blog about the unfolding demonstrations against the government in Rangoon in 2007 and for describing how hard it was for young Burmese to express themselves freely. Chinese blogger Ran Yunfei was among several arrested in a crackdown on dissent by government authorities in 2011. He spent six months in prison and was released on the condition he did not speak with the media or continue to share his political views online. Many more languish in jails throughout such countries today for expressing themselves freely. Repressive regimes also engage in modern age propaganda techniques such as cyber-attacks on target websites and on ‘phishing’ to steal dissident password information to access their email addresses and other contact details. The US has declared cyberspace the new ‘fifth sphere of war’ after land, air, sea and space. Some countries have laws making it an offence to insult the royal family, with Thailand, a nation with an otherwise free and vibrant media, the most active in its use. It is called ‘lèse majesté’, and in that country it can carry a maximum jail term of 15 years. Authorities have charged as many as 100 people a year with the offence in recent years, with several unsuspecting foreigners including an Australian jailed because of their published criticisms of royalty. Many other nations have lèse majesté laws or similar. As you enter your international careers, you need to be concerned for both your own safety and the liberty of others in your blogging and social media activity. In my book I explain how you need to be extra careful that your words or images do not implicate someone in a country with a stronger censorship regime than your own. Remember, your blogs, tweets and Facebook pages can be accessed by authorities in other countries, even if they have an Internet firewall in place for their citizens. Also you need to be careful with what you write about the activities of your friends and colleagues from other countries. I’m sure you would not want another blogger’s imprisonment or torture on your conscience if the security agencies in their home country arrest them over something you have posted from the cyber-safety of your free expression haven. You need to bear this in mind because your new networks may well extend to vulnerable individuals living in such regimes. So what can you do to help elevate free expression as a fundamental human right? I would encourage student journalists to sign up with RSF and perhaps one of the other free expression NGOs like Article 19 or Index on Censorship. The rest of you might become more active within Amnesty International which also has a strong free expression chapter. Free expression is a right Amnesty regards as “important for the personal development and dignity of every individual and vital for the fulfillment of other human rights”. And rightly so. For without free expression, victims of human rights abuses would be unable to communicate their predicament and their supporters would be prevented from issuing their rally cries for change. While the United Nations Universal Declaration of Human Rights enshrined free expression for all the world’s citizens at Article 19 in 1948, it was only ever meant to be a declaration of a lofty goal and has many limitations. Better safeguards came internationally in 1966 when the UN adopted the International Covenant on Civil and Political Rights, which also protected free expression, again at Article 19. But many countries have not ratified the covenant and you are left without regulatory bite. Complaints about individual countries’ breaches can be brought to the Office for the High Commissioner for Human Rights, but the processes can take several years and are often unresolved. The journalists among you should have truth-seeking and truth-telling as your absolute mission. The rest of you might sometimes have other obligations which sometimes limit your ability to reveal everything about a topic, but you should make it your own mission to defend the rights of others to speak their minds. In journalism we use the expression ‘don’t shoot the messenger’ – and we mean it both literally and metaphorically. While the world has changed markedly since the UN was established in 1945, a constant has been the natural tendency of those in power to gag their critics. Active membership of organisations like Reporters Without Borders and Amnesty International can at the very least remind those who abuse their positions that they are being watched, and at best motivate them to change their ways.